How Did Carter Page Go From FBI Undercover Spy To Accused Russian Agent? How Did Carter Page Go From FBI Undercover Spy To Accused Russian Agent? How Did Carter Page Go From FBI Undercover Spy To Accused Russian Agent? As more information comes out about Obama’s corrupt FBI and its illicit “Russia” investigation, it is beginning to appear as if Carter Page, the FBI’s target inside the Trump campaign, was previously an FBI informant on a totally different investigation into a Russian. 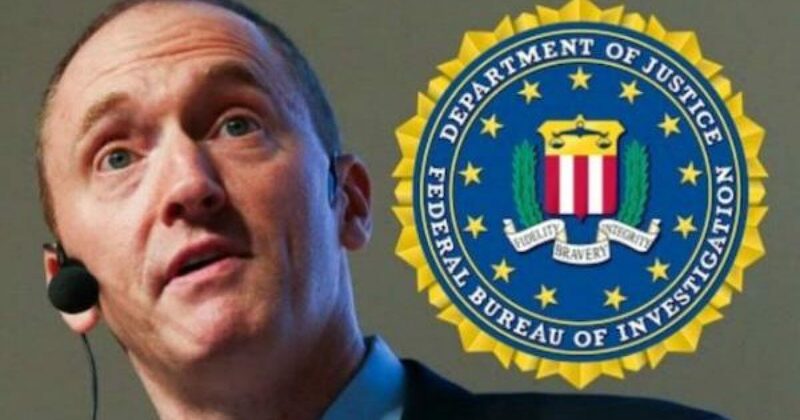 So, how did the FBI go from treating Page as an undercover employee to turning on a dime and claiming he is a likely criminal. Before we go any farther in this discussion, we must note that Mr. Page was just the corrupt FBI’s stepping stone to “get” GOP nominee Donald J. Trump. They expected to get something on Carter and from there they thought they would pressure Page to turn on Trump. It is a pretty common tactic. Pull the small thread and hope it unravels the whole sweater. At least… that is what we have been led to believe. But as we learn more, a growing body of evidence points to the likelihood that that Carter Page wasn’t just a suspect that the FBI happened upon when it was looking into supposed “collusion” between Trump and the Russians to affect our 2016 election results. Mr. Page may very well have been an undercover FBI operative in another case against a Russian. Why has the FBI not disclosed this past relationship? And how can we now trust that the FBI really was treating Page as a possible suspect to get at Trump and not just using him once again as any undercover agent? So, let’s look at some of these points. At issue is a case against a Russian operative named Evgeny Buryakov. According to the U.S. Department of Justice, Southern District of New York, the case started in 2013 and ended in 2016 with a guilty plea. Buryakov admitted to acting as a Russian agent without telling the U.S. government. By April, this UCE-1 was identified by The New York Times as being one Mr. Carter Page. “The F.B.I. interviewed Mr. Page in 2013 as part of an investigation into the spy ring, but decided that he had not known the man was a spy, and the bureau never accused Mr. Page of wrongdoing,” the Times wrote last year. That was 2016. But only months later the FBI was going to a FISA court claiming that Carter Page was doing something nefarious and they needed permission to spy on him. This seems like quite a neck breaking turn around. One day the FBI is using Carter Page as a spy, the next day they are calling him a spy? Then there is this: one of the operatives calling Page an asset in 2016 case was also the same guy calling him a suspect a year later. In the above press release you see the name of John P. Carlin who was the Assistant Attorney General for National Security. Carlin was also part of the team later accusing Page of being a spy. Now we need to point out that even though the feds were accusing Page of being a Russian operative so they could get at Trump, Page was never charged with anything at all. So, what do we have here? We have Carter Page, who was once an undercover FBI operative in a case against a Russian a few years ago, suddenly accused of being a Russian operative himself for Donald Trump and was to be used to “get” the GOP nominee. Then the FBI used a fake report written by Trump’s opponents and used that fake info as an excuse to spy on Trump by targeting Carter Page. Former U.S. Attorney General Michael B. Mukasey laid out the facts showing just how corrupt the use of the Steele dossier was. And yet, this fake, partisan document was used as “proof” that Trump was guilty of… something… or… or another. If this doesn’t all sound corrupt… what does? Finally, we must point out that all these people involved in the attack on Donald Trump are Obama operatives. They are all beholden to Obama, Clinton, and liberals first and foremost. Neither justice nor the law are of any interest to these people.